There is another bargain book sale on Saturday 21st October 2017. 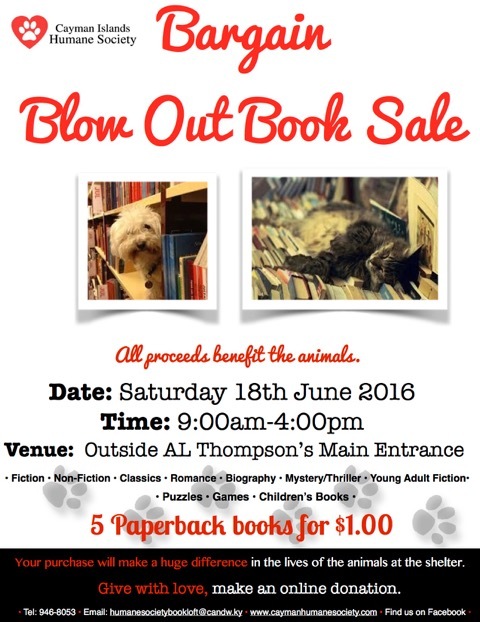 Come to our latest bargain blow out book sale at A.L. Thompson’s this Saturday 5th August from 9:00am to 5:00pm. There is another bargain book sale on Saturday 5th August 2017. The Book Loft will be holding a book sale on Saturday 10th December 2016. This will be held outside AL Thompson’s main entrance from 9:00am to 4:00pm. Your purchase will make a huge difference in the lives of the animals at the shelter.